The Miami Heat and San Antonio Spurs put on a game for the ages, reminding me of a similar one almost twenty-seven years ago. Game Six. The Miami Heat were done. Trailing by five points to the San Antonio Spurs with twenty seconds to go, the notoriously repellent Miami Heat fans were abandoning their $2,000 seats and heading for the exits. The championship stage had already been pushed courtside. The trophy was out of the case. David Stern, ready for his close-up, was perhaps checking his teeth for spinach. 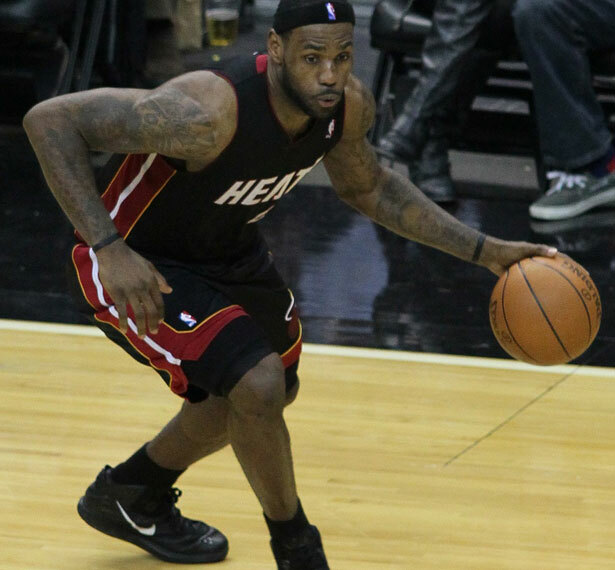 Snarky tweets about Heat MVP LeBron James were in full force. It was over. “King James,” after a fourth quarter of dragging his team back on offense and guarding the quicksilver Tony Parker on defense, was running on fumes. The game was done, but then the Spurs cracked. They missed free throws, they missed rebounds and the league’s most disciplined defensive team left Heat shooters open. For example, up three points, they didn’t guard the best three-point shooter ever, Ray Allen. Allen hit a three, sending the game into overtime, and the Heat escaped 103-100. This combination of unbelievable self-belief on one side and a haunting collapse on the other has only one historical comparison. It hit me in the throat through my television because I was there. Game Six. My dad scored tickets for game six of the 1986 World Series in the first row behind the Mets dugout. I still have the ticket stub (list price $40!). The events of that night have been over-discussed to death, so what’s one more time? It was 5-3 in the tenth inning, and the hated Red Sox were on the verge of winning it all. The Series MVP would be Boston pitcher Bruce Hurst. Clubhouse attendants had even hung plastic in the dugout to prevent clothes from getting soaked in the champagne. I’ll never, ever forget Mets first baseman Keith Hernandez, my boyhood idol, lining to center for out number two. As he walked to the dugout, a guy next me, through choked tears said, “It was a great season, Keith.” Hernandez, who hadn’t made eye contact with us all game, looked up and shot lasers through the guy. Sure enough, the Mets kept getting on base, until a ground ball by Mookie Wilson went through the legs of Sox first baseman Bill Buckner and the team from Queens was alive for game seven. As people danced on the dugout and sprayed beer all over me, I remember being less thrilled than unnerved. (Granted, that could have been the cop on horseback ten feet away on the field with his nightstick over his shoulder.) My Mets had succeeded, but partially because Bill Buckner had failed. The Spurs, a team incredibly easy to root for, “Bucknered” this game and unless you are a diehard Miami Heat fan (and really, who would admit to such a thing? ), this game should leave you feeling thrilled at the competition but a little queasy about just how victory was earned. There is still a game seven where the Spurs can make every emotion they’re feeling right now go away. It’s also a game seven for LeBron James and the Heat to show yet again that they deserve all the hype. As for Buckner, in game seven of the 1986 World Series, under unimaginable pressure, he had one of the most under-appreciated clutch games in history, going 2-4. He was arguably the only Sox player that day who was big enough for the moment. But his team didn’t win, so game six became his legacy. Winning, in this peculiar universe of sports, eternally cures all blemishes. Whether it’s the the over-hyped Heat or the choking Spurs, someone is getting dipped in Lourdes on Thursday night. And that’s why we’ll watch.